Sometimes I have days that are just blah and I’m not inspired at all. 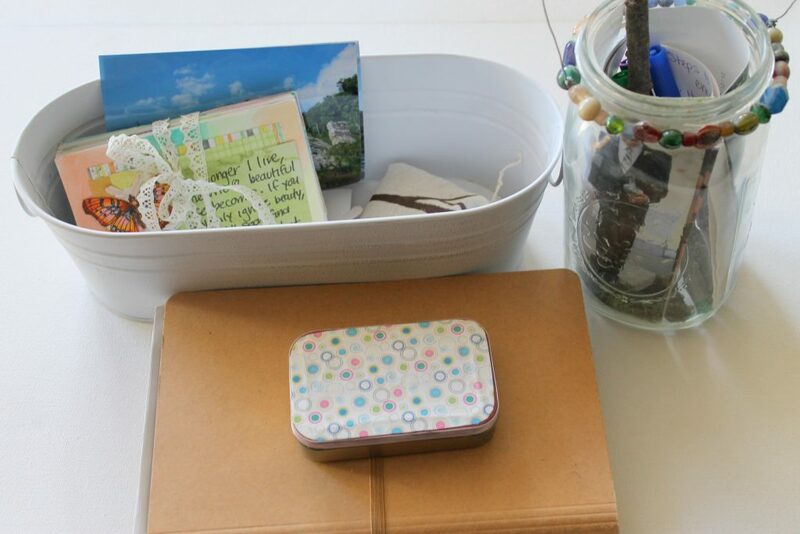 I love having a little “treasure chest” of items to inspire me on those days. Put things in it that inspire you. As time goes by, you’ll find some new things to put in it and perhaps take other things out. In today’s video I show you how I put together my Inspiration Treasure Chest. I used a cute planter. I also think of my sketchbook as a treasure trove of inspiration. Photos of inspiring places. 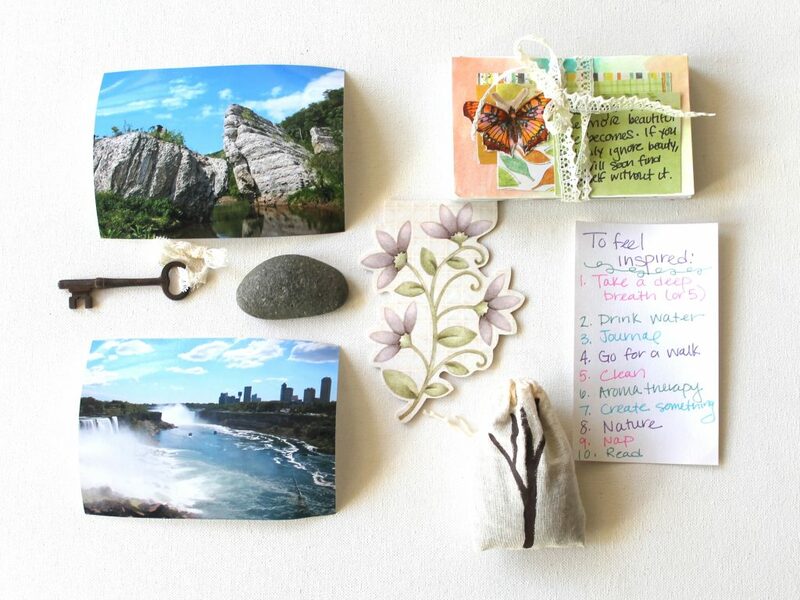 You could use your own photographs of places you’ve visited and love or print inspiring photos of places you’d love to visit. Any ephemera that inspires you. Any little items that delight you. A list of things to do to feel inspired again. Anything else that you find inspiring. 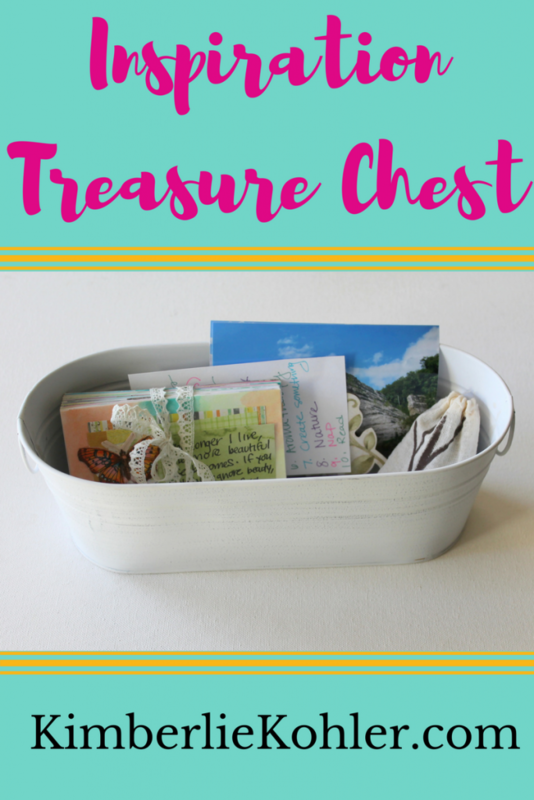 So what are you going to put in your Inspiration Treasure Chest? 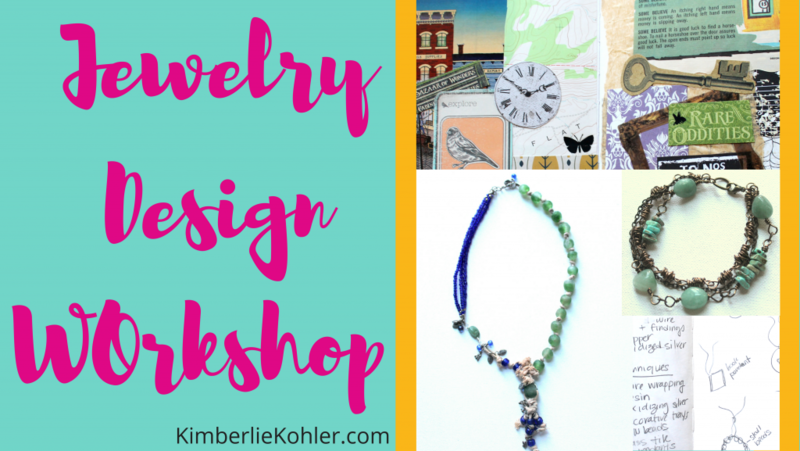 This entry was posted in Creativity, Inspiration by Kimberlie. Bookmark the permalink. Kimberlie I always love to see what you do next! Today i was feeling down and uninspired and I watched your video! Now i am on the hunt to create my treasure chest. I so needed this today! Than you! Wish we lived closer, i bet we would be great friends!